Three years ago, Alicia passed by a poster in a Belmont-Cragin window for something called Healthy Families, and walked in to ask if she could get a test to confirm she was pregnant. 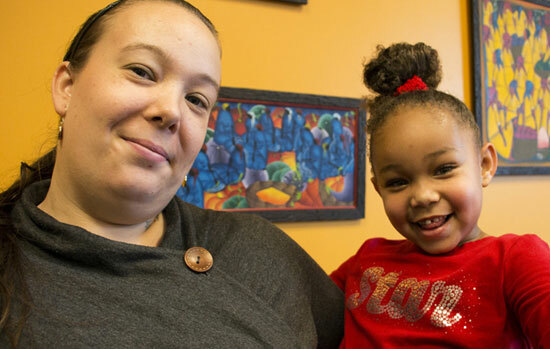 Staff at Metropolitan’s North Center told her Healthy Families was actually a home visiting program for pregnant and new mothers, so if she was pregnant she was welcome to enroll. Not long afterward, her son Alec was born and Healthy Families staff member Catalina Rodriguez began visiting her every week – and continued for almost three years. 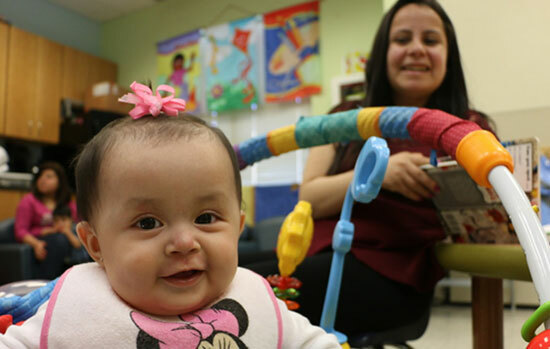 Healthy Families is one of Metropolitan’s home visiting programs, along with Empowering Families and Parents as Partners, which provide expectant and new parents with education and support during the most crucial first five years of their child’s life. Families also meet for field trips and activities, to socialize and attend workshops. Metropolitan’s evidence-based home visiting programs have a proven track record of improving health outcomes for vulnerable moms and babies and increasing children’s school readiness. Catalina helped Alicia identify that her son had sensory processing disorder and connected her to Early Intervention services.